We are pleased to announce that we will be attending the UKSCA Annual Conference. It takes place from 4th – 6th August at the Jurys Inn Hinckley Island Hotel, Leicestershire. The UKSCA Annual Conference has established itself as a key event in the strength and conditioning calendar. The event allows delegates the chance to hear talks from leading experts in the theory and application of strength and conditioning. 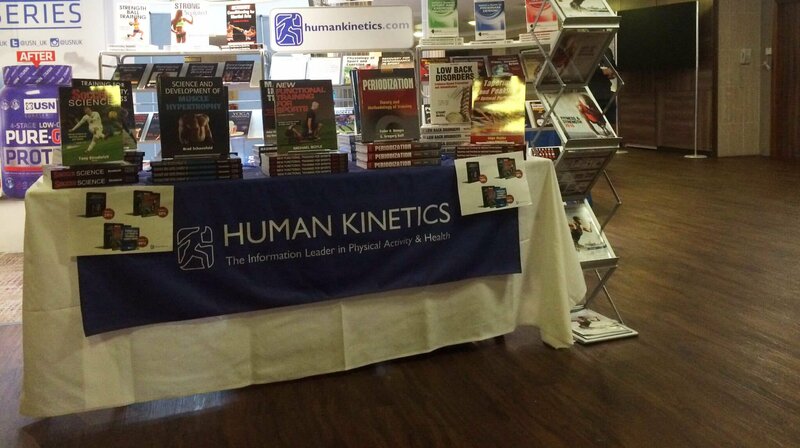 Human Kinetics will have a stand at the event and with all speaking authors’ books available to buy over the weekend. Plus, Mike McGuigan and Greg Haff will be doing book signings over the weekend, so make sure you stop by and say hello. We’ve also teamed up with UKSCA to give you the chance to win a book bundle worth £150! Click to enter. You can get a taster of Mike McGuigan’s new title Monitoring Training and Performance in Athletes by checking out our recent article Understand the General Adaptation Syndrome Model.